Graduation Party Invitations and Theme! 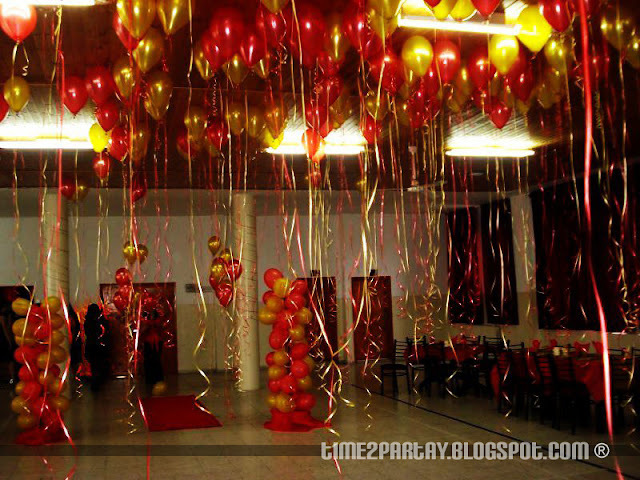 My sister and her junior class recently had to organize a graduation party for the senior class. 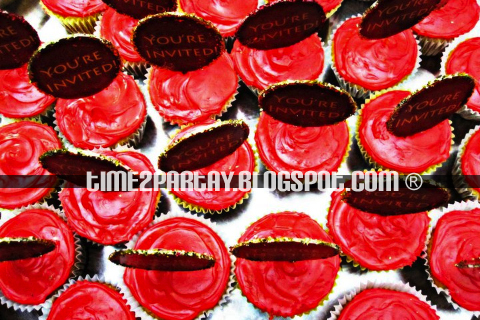 I of course offered (or was forced by my sister) to create cute invitation cards and cupcake toppers. 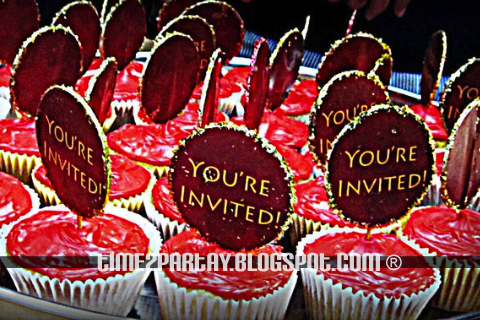 Food is always the best invitation! 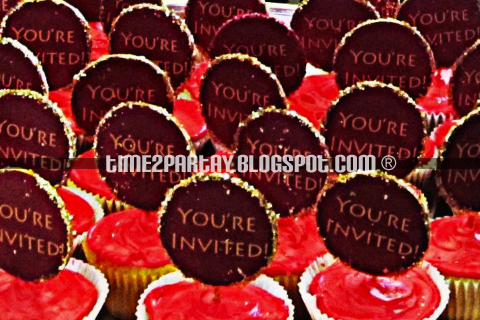 The party’s theme was red and gold, so I created the cupcake toppers using those colors. Then we used glitter to cover the edges. How cute is this! The gold glitter really made them stand out! 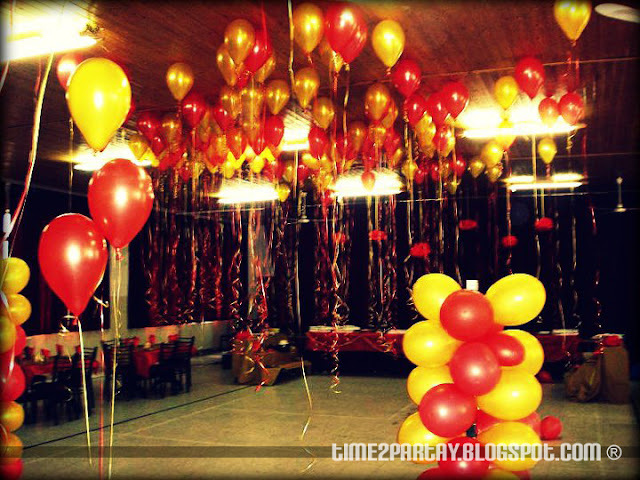 My sister (and her classmates) chose these colors since the hall curtains were already red, so the best combination was red and gold. I didn’t think it was going to be this beautiful! Balloons just never get old. Too cute! The junior class (my sister and her classmates) personalized candles with the names of each senior on the ribbons. 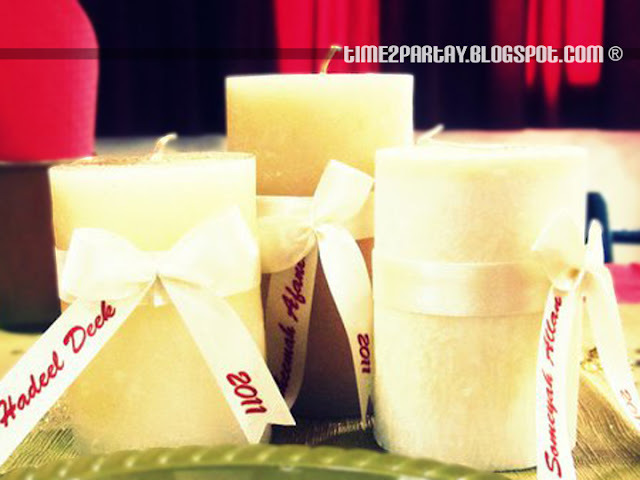 These candles made elegant center pieces, and memorable party favors ! Eid Al-Adha Sheep Party Favors!